Valeriy Uspenskiy (Russia) is People’s Artist of Russia, Professor. Head of Academic Choir Department, St. Petersburg N.A. Rimskiy-Korsakov Conservatoire, artistic director of the Students Choir of the Conservatoire. Valeriy Uspenskiy is head of Academic Choir Department at the St. Petersburg Conservatoire and directs the Students Choir. 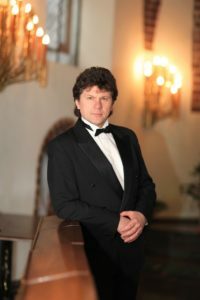 Honorary Rector of Khabarovsk State Institute of Culture and Arts, the permanent chairman of the jury of the International Choir Competition and vocal ensembles “The Singing World” named after Yuriy Falik. Сonduct master classes with choirs around the world, the chairman of the jury of numerous international and national competitions. 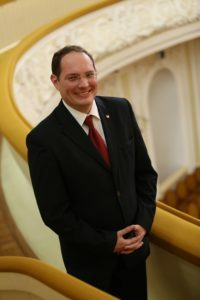 Valeriy Uspenskiy is organizer and artistic director of the I Youth Choral Festival, chamber and symphonic music, which was held from 24 to 29 November 2012 in St. Petersburg, and was dedicated to the 150th anniversary of the St. Petersburg Conservatory. Alexander Solovyev (Russia) is Professor of the Department of Contemporary Choral Performing Art of P. Tchaikovsky Moscow State Conservatory, Dean in charge of work with foreign students, member of the Academic Council, art director and chief conductor of the Chamber Choir of the Moscow Conservatory, Tula State Choir and the Concert Choir of the A.Schnittke Moscow State Institute of Music (MGIM). Оfficial representative of Russia in the Council of the «World Choir Games», organized by the «Interkultur» International Association; A. Solovyev has been the Principal Guest Conductor for the Educational Bridge Project Festival Choir (Boston, USA) since 2012; since 2013 he has been Guest Conductor for the Taipei Philharmonic Chorus (Taiwan). A. Solovyev is also Artistic Director of the International Open Festival of Arts «To the Victory Day», Artistic Director of the International Autumn Choral Festival named after Professor B.G.Tevlin; Artistic Director of the Tula State Choir (from 2016). 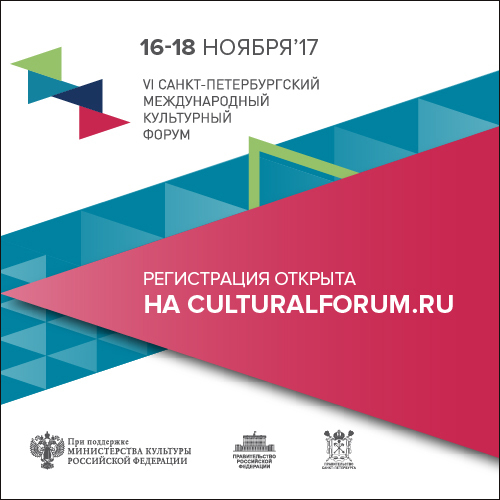 Winner of the Grant of the President of the Russian Federation in the field of culture and arts. 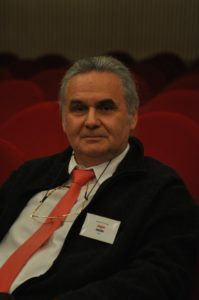 Branko Stark (Croatia) is composer, choral director and voice instructor, teaches vocal technique at the Arts Academy (University of Split-Croatia); has written over two hundred compositions. His speciality is voice theory and its scientific-pedagogic research and works published on this subject. He is also a prominent adjudicator for many international choral competitions. He is President of the Croatian Choral Directors Association, Head of the Vocal Academy, a member of the International Council of the World Choir Games and Advisor for Croatia in the International Federation for Choral Music (IFCM). Holds seminars, master-classes, lectures and workshops for choral conductors and singers worldwide. Rolandas Daugėla (Lithuania) is Associate Professor at the Vytautas Magnus University (VMU) Music Academy (Kaunas); since 1998 the chief conductor of World Lithuanian Song Celebrations; Artistic director and conductor of church chamber choir “Cantate Domino”, VMU Academic choir “Vivere Cantus” and the choir “Cantica”; Lithuanian choral expert – advisor. He is Artistic director of International Choir Festivals and Competitions cycle «Lituania Cantat». 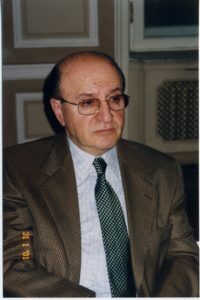 Member of the jury of national and international competitions. 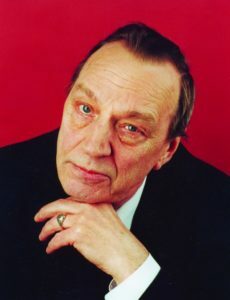 In 1998, the Ministry of Culture of the Republic of Lithuania provided this artist with the 1st degree S. Šimkus award, a winner of “Authentic music” award (2008), “Golden bird” award for nomination of “International shine star” (2009), was awarded the Kaunas City Municipality Culture and Art Prize (2010) and the city of Kaunas burgomaster Jonas Vileišis brass medal (2011). Milan Kolena (Slovakia) is Art Director of the International Sacred Music Choir Festival Námestovské hudobné slavnosti, Musica Sacra in Bratislava, Slovakia Cantat. 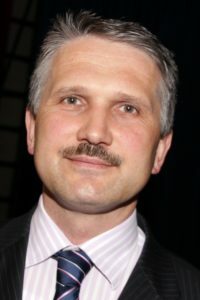 Since 2013 he is the President of the Slovak Choral Association. Dr. Milan Kolena teaches choir conducting and Gregorian chant at VŠMU. He is active as a Jury member at national and international choral competitions in Czech Republic, Poland, Italy, Slovakia, Russia and he gave lectures at three American universities, did workshops in China and Hong Kong. He was awarded the “Best conductor” special prize of the International Competition of choirs and ensembles «Singing World» named after Y. Falik (2015). Yakov Dubravin (Russia) is the People’s Artist of Russia, composer, professor of the St. Petersburg Institute of Culture, professor emeritus of the New York Academy of Sciences, President of the International Festival of Choral Art «The Singing World», discipline head of «Children’s Choral Performing Art» at the Elena Obraztsova International Academy of Music, Chairman of the Board of Directors of Composer. Saint Petersburg publishing house, a member of the Russian Union of Composers and the Union of Concert Performers of St. Petersburg; winner of numerous contests and festivals.